June Valent started working for Hackettstown Community Hospital, New Jersey, in 2009. In 2010, the hospital adopted a policy requiring workers to be vaccinated against influenza, unless “there [was] a documented medical or religious exemption. For those with an exemption, a declination form must be signed and accompanied with an appropriate note each year.” An employee claiming a religious exemption just has to sign a form and bring a note from a religious leader. Employees using an exemption were required to wear a mask. To her credit, Ms. Valent was unwilling to pretend her reasons for refusing the vaccine were religious. Less to her credit, she refused to be vaccinated, even though she had no medical reason, and vaccinating would reduce her chances of contracting influenza and transmitting it to her vulnerable patients. She did agree to wear a facemask, as any vaccine exempt worker would. Because the employer offered a non-medical exemption, a religious exemption, the employer’s policy was clearly not just driven by health concerns. The Court’s decision is problematic – it’s not analytically strong and ignores existing exemption jurisprudence. The result – extending this specific exemption – does fit current jurisprudence, though not for the reasons provided. Hospitals should not offer a religious exemption from vaccination. That’s a losing proposition. The court found the main issue to be that denying Ms. Valent benefits “unconstitutionally violated [her] freedom of expression by endorsing the employer’s religion-based exemption to its flu vaccination policy” and the hospital’s policy “discriminates against an employee’s right to refuse to be vaccinated based only on purely secular reasons.” It also found that having a religious exemption meant that the policy was not only health based. First, basing this on freedom of expression rather than the Establishment Clause (of the First Amendment to the US Constitution) is strange. Vaccinating is an act, not an expression. So is taking an exemption. The best argument I can suggest in support of this ruling is that in making her exemption she had to express a reason, and making the exemption religious only restricted her freedom of speech by only accepting certain explanations. But that’s a strange way to use freedom of speech: while justifying an exemption is an expression. An explanation of why you fit the requirements of a waiver is not the same as expressing an opinion. This looks like an issue of freedom of conscience, not of expression, and that’s more appropriately covered under the Establishment Clause. Similarly, while the definition of religious beliefs does extend under federal law to moral and ethical views held with the strength of religious convictions (Welsh v. United States, 398 U.S. 333, 340 (1970) ), they do not cover every issue on earth. For example, safety concerns are probably not covered: they are not a matter of belief or values. Not every instance of different treatment is discrimination under our law; our laws allow treating different cases differently. Whether there was discrimination against Ms. Valent depends on whether her reasons reflected ethics or morals – and the decision does not address that. It looks as if the court is simply accepting an argument the plaintiff – unrepresented by legal counsel – provided. But the argument is troublesome and not a good basis for the decision. It’s not analytically sound, and its implications are problematic. Broadly applied, it would abolish the distinction between religious beliefs and philosophical exemptions, allowing anyone in a state that offers a religious exemption to opt out, even if the state requires show of sincerity, even if the applicant’s sole reason is safety concerns. Our jurisprudence surrounding exemptions was never applied that way – and states offering only a religious exemption seem to seek to apply it to, well, religious reasons (in states that offer a philosophical belief exemption this probably makes no practical difference). The Board did not have to accept the plaintiff’s problematic arguments to provide her with her seven weeks of benefits. The hospital’s religious exemption is controversial on other grounds. By requiring a note from a religious leader, the policy discriminates in favor of organized religions. With one exception, all courts that ruled on this found such provisions in statutes to be unconstitutional (e.g. Dalli v. Bd. of Educ., 267 N.E.2d 219, 222-23 (Mass. 1971)). The one exception is Kentucky (Kleid v. Bd. of Educ., 406 E Supp. 902,904 (W.D. Ky. 1976)), but there the legislature stepped in and changed the law before the issue could be reexamined. The reasoning behind these decisions is powerful: states shouldn’t discriminate in favor of organized religions. States should not be conscience police, and separation of church and state must mean at least that no specific religion is privileged. The Court could have expanded the exemption on those grounds. If a hospital offered a religious exemption out of a belief that it’s constitutionally required, that’s simply incorrect. Since Jacobson v. Massachusetts (197 U.S. 11, 25-27 (1905)) immunization requirements have been acknowledged as constitutional, and no religious exemption was found necessary. No court that ruled on the matter found a requirement to provide a religious exemption – and such a claim was rejected most recently in Workman v. Mingo Cnty. Bd. of Educ., 419 F. App’x 348 (4th Cir. 2011). True, this was in the school immunization context, where there is another interest besides the public health – the health of the child – but as in Jacobson, the public health interest itself justifies an immunization requirement with no exemption. In fact, it’s a really bad idea for hospitals to offer such an exemption. Under our jurisprudence, it’s really hard to craft a religious exemption that would not be blatantly open to abuse. So when a hospital offers a religious exemption that’s constitutional, it provides the opportunity to those wanting to opt out for non-religious reasons to abuse it. 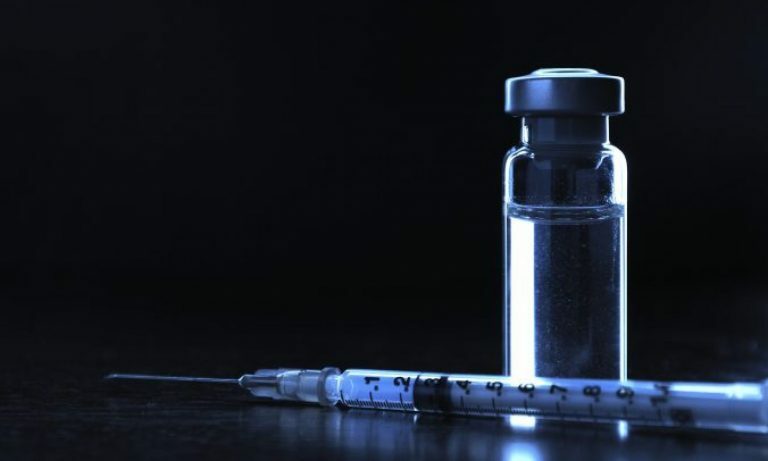 Most people opting out probably do so because of fears about vaccines – unfounded fears, let it be made clear, since the risks of the influenza vaccine are very small, and much smaller than the risks of influenza itself. A policy that provides a religious exemption only encourages those people to lie – and penalizes those that refuse to lie (like Ms. Valent). Both aspects are problematic. Further, in this case, the court found that the religious exemption undermined the declared goal of the policy, which is to protect patients’ health, because the employees with such exemptions will still be putting patients at risk. By offering a religious exemption, the hospital admitted that it was not focusing solely on health considerations. If the hospital is willing to put the values some employees hold above patients’ health, the court concluded, the hospital should not discriminate among such values. Instead of offering a religious exemption it is not required to offer, that is vulnerable to abuse, and that can lead to this kind of litigation, hospitals can and should just require workers to vaccinate, absent a medical reason not to. It is constitutional to do so; and if someone is working in the health care industry, coming into contact with vulnerable people, it is reasonable to require that they take the simple, safe precaution of vaccinating. When you choose to work at a service profession, you accept certain obligations for the benefit of the people that depend on you. In the case of healthcare workers, an employer may demand conditions that protect patients – including that employees take the simple, safe protection of a flu vaccine. If an employee cannot bring herself to take that precaution for her patients, maybe the healthcare profession is not for her. If her reasons are religious, vulnerable people who entrust themselves to her care should not be put at risk because of her religion. If it’s because her mistrust of modern medicine runs so deep that she rejects something supported by as powerful a consensus and as abundant data as supports vaccines, how can she trust the rest of the system she is supposed to work with? It’s reasonable for the employer to demand that healthcare workers vaccinate. Diluting it with a religious exemption only leaves the employer legally vulnerable, and leaves the patients vulnerable to flu.